The 100G Lambda Multisource Agreement (MSA) Group, which was formed in October 2017, announced the release D2.0 of three specifications based on 100 Gbps per wavelength PAM4 optical technology. These updated 100 GbE interface specifications are designated as 100G-FR and 100G-LR for duplex single mode links over 2 km and 10 km respectively. The MSA has also updated the 400G-FR4 specification for 400 GbE duplex single mode fiber links relying on multiplexing 4 wavelengths of 100 Gb/s PAM4 modulated optical signals. In addition, the MSA is also working on a 400G-LR4 specification for a 10 km reach at 400 GbE. In addition, members of the 100G Lambda MSA Group announce recently conducted a private interoperability private plugfest hosted by MultiLane. Twelve companies participated. The areas of focus for this event included testing optical interoperability for 100 GbE and 400 GbE modules and modules that support 4x 100 GbE breakout. “The rapid convergence of stakeholders and technical agreement highlights the strong industry effort and the demand to bring this technology to market as soon as possible,” said Mark Nowell, MSA co-chair. “The successful testing between so many members involved in the plugfest shows the rapid maturity of the various product and technology developments across the ecosystem,” said Jeffery Maki, MSA co-chair. The 100G Lambda MSA Group member companies are: Alibaba, Applied OptoElectronics, Arista, Broadcom, Ciena, Cisco, Color Chip, Credo, Delta, Finisar, Foxconn Interconnect Technologies, Fujitsu Optical Components, HiSense, Huawei, IDT, Inphi, Intel, Juniper Networks, Kaiam, Keysight Technologies, Lumentum, Luxtera, Macom, Maxlinear, Mellanox, Microsoft, Mitsubishi Electric, MultiLane, Molex, Neophotonics, Nokia, Oclaro, Rockley Photonics, Semtech, Sicoya, Source Photonics, Sumitomo Electric, TE Connectivity and Tektronix. Source Photonics also said that it is now accepting sample orders for the high speed 400G QSFP-DD. The company is scheduled to go into production in January 2019. This small form factor module enables the migration to the next higher data rate in a wide field of applications such as datacenter connectivity, optical transport networks and metro networks. At ECOC 2018, Keysight Technologies is demonstrating its latest high-speed, test solutions in a private room (building SC3, room J), including coherent signal analysis solutions featuring the new Infiniium UXR-Series Real-Time Oscilloscopes and the new N4391B Optical Modulation Analyzer with up to 110 GHz Bandwidth, as well as the M8194A 120 GSa/s arbitrary waveform generator (AWG). The room will include demonstrations of new optical and electrical 400GE / PAM4 compliance test solutions, as well as 1.2 Terabit and 400ZR test equipment for coherent optical applications. Ixia, a Keysight business, is also demonstrating its 400 Gigabit Ethernet (GE) test solutions in cooperation with other organizations. With the Ethernet Alliance (Stand 618), Ixia will participate in the first multivendor demonstration of interoperability in the 400GE ecosystem with a 400GE switch over OSFP optical transceivers which leveraged all 8 ports in the AresONE OSFP 8x400GE test system to deliver 3.2 Tbps of live Ethernet traffic. The demo also uses passive copper Direct Attached Cable (DAC) assemblies from Amphenol and TE Connectivity Ltd.
Fujitsu Optical Components (FOC) (Stand 703) is showing Keysight's N1092C DCA-M sampling scope with N1078A optical/electrical clock recovery unit and 86100D DCA-X mainframe with 86108B precision waveform analyzer for the development of their 400G OSFP/QSFPDD transceivers. HUBER+SUHNER Cube Optics AG (Stand 410) will present a live demo at its booth of its latest ultra-compact integrated multi-lambda 200 Gbps PAM4 Receiver Optical Sub-Assembly (ROSA), compatible with the 200G and 400GBase-FR8 standard using Keysight’s N1092E DCA-M sampling oscilloscope for analysis. Ciena (private room) is using Keysight’s M8290A optical modulation analyzer (OMA) to demonstrate its Wavelogic Ai coherent applications. Finisar (Stand 400) is demoing their leading optical transceiver modules operating in the Ixia’s 2nd generation 400GE, AresONE test system. The demonstration consists of AresONE ports transmitting and receiving up to 3.2 Tbps of live Ethernet test traffic with Forward Error Correction (FEC). 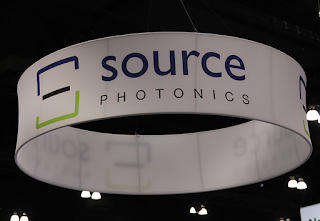 Source Photonics (Stand 416) is demonstrating the maturity of the 400GE ecosystem using their 400G QSFP-DD LR8 transceiver and traffic from Ixia’s field-proven K400 QSFP-DD test system. Mellanox Technologies (Stand 432) is using Ixia's AresONE 8x400GE QSFP-DD test system to demonstrate 200Gb/s live traffic using 200GBASE-SR4 multimode fiber transceivers and 400Gb/s QSFP-DD passive copper DAC assemblies. Molex (Stand 606) will demonstrate line rate 400G Ethernet traffic with Ixia’s K400 over Molex’s new 3m QSFP-DD DAC. Real-time analysis on K400 will showcase test results of pre-FEC (forward error correction) per lane BER (bit error rate) better than IEEE specifications. At ECOC 2018 this week in Rome, NeoPhotonics is showing its suite of lasers and analog ICs for uncooled, non-hermetic single laser 100G and 4 laser 400G links within data centers. 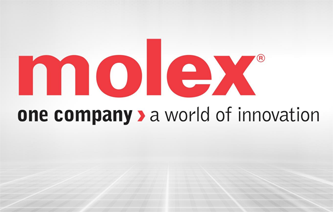 The product suite includes Electro-Absorptively Modulated Lasers (EML) for 2 km PAM4 based links and high power CW laser sources for 0.5 and 2 km Silicon Photonics-based links, along with the photodetectors, drivers and trans-impedance amplifiers required. NeoPhotonics anticipates a technology shift to single-laser (lambda) 100Gbps and 4-laser (lambda) 400Gbps using 4 level pulse amplitude modulation (PAM4) driven by demand for higher port density and lower cost per bit for optical connections inside the data center. 53GBaud Uncooled CWDM4 EML, which includes the option for integration with NeoPhotonics’ open drain driver. With an uncooled operating temperature range from 20 to 70C and the capability to operate reliably in “open-air” transceiver designs, thus eliminating hermetic enclosures, this EML is a preferred transmitter solution for PAM4 based FR4 2 km data center applications. Versions are also available at 1310 nm for DR1 and DR4 500 meter applications. “Our complete suite of 53GBaud Linear Optical Components provides all needed optical components for single laser 100Gbps transmitters and receivers, scalable to 400Gbps transceivers with CWDM4 wavelengths,” said Tim Jenks, Chairman and CEO of NeoPhotonics. “Furthermore, our uncooled, high power CW DFB lasers and laser arrays are critical elements for any 100G, 200G or 400G Silicon Photonics based transceiver. We are pleased to offer the lasers and critical analog electrical components for both next generation data center transceiver approaches,” continued Mr. Jenks. At ECOC 2018L NeoPhotonics is reporting that its suite of 64 GBaud optical components for coherent systems are currently being used by multiple major customers to develop systems with 600G per wavelength transport capacity. 64 GBaud components double the symbol rate over standard 100G (32 GBaud) coherent systems. These components work together to enable customers to implement single wavelength 600G or dual wavelength 1.2T data transmission over data center interconnect (DCI) distances of 80 km. “We are working closely with customers to provide a matched suite of high speed optical components for 600G per wavelength to enhance system performance and reduce time to market,” said Tim Jenks, Chairman and CEO of NeoPhotonics. “With our next generation highly integrated COSA, operating at 64 Gbaud and beyond, and our Nano-Tunable Laser, we are working to enable highly compact pluggable 400G modules,” continued Mr. Jenks. 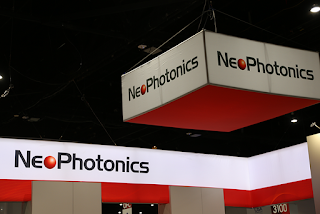 The company says three OEM customers have elected to use all three of these components in their development, while additional customers have elected to use a subset of the NeoPhotonics 64 GBaud coherent component suite. The components also support 400G over metro distances of 400-600 km using 64 GBaud and 16 QAM or 200G over long-haul distances of greater than 1000 km using 64 GBaud and QPSK. There may be a vast number of opportunities for mobile fronthaul and backhaul on the horizon but improvements in protocols, standards and technology will also need to be made, according to Supriyo Dey, Senior Director Product Line Management at Source Photonics, speaking on the opening day of the ECOC 2018 Exhibition, taking place in Rome, Italy. Dey commented: “While an exciting era of unprecedented opportunity is almost here in the shape of 5G, it comes with a set of challenges for the whole industry. The advent of this technology is undeniably huge, but there’s a real challenge for those who are hungry to develop its capabilities to match their expectations in terms of performance. Applications such as 3D video, augmented reality, UHD screens, self-driving cars and smart cities to name a few will need to be supported by mobile front and backhaul. “With these advances in capabilities come new requirements -, up to 10Gb/s data rate to support high quality video, ultra-reliable and low latency communication for autonomous vehicles and massive node communications for them Internet of things. Dey’s observations were delivered at the ECOC18 Exhibition’s Market Focus, as part of an agenda that tackled topics ranging from FTTX evolution and next-generation data centers to optics as an enabler for 5G. Source Photonics is also showcasing some of its latest products at the exhibition in the form of live demos. This includes a demonstration with equipment testing experts Ixia, of its 400G QSFP-DD LR8 transceiver. In addition, the company will also demonstrate its 25G SFP28 LR Lite which supports CPRI wireless and 25GBASE-LR applications. 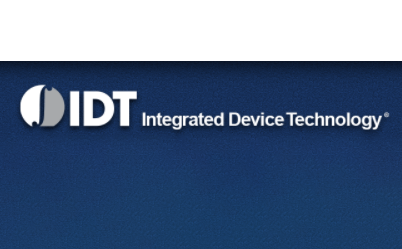 At ECOC 2018, Integrated Device Technology (IDT) is introducing its latest single lambda EML driver and TIA for 200G/400G datacenter applications. IDT said its 400GbE based on 100G single lambda designs will establish an ecosystem to lower the cost per bit, a key enabler for scalable Switch-to-Switch and Switch-to-Server Optical Links, supported with small form factor modules, such as 200G/400G QSFP-DD, OSFP and 400G OBO. 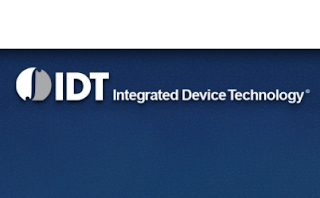 The Electro-Absorption Modulated Laser (EML) and Trans-Impedance Amplifier (TIA) are key analog IC components, and the features of IDT's chip set of high bandwidth, high sensitivity and low power consumption are promising to support those modules. The IDT 100G single lambda EML Driver is available as a die (HXT45100) and as a packaged driver (HXT45x01) with 1 or 4 channels. The driver family features broad bandwidth, high linearity and low power consumption for the QSFP-DD module form factor. The SMT-type packaged drivers integrate built-in Bias-T, internal high-frequency chokes and input DC blocks, and offers 2Vpp output voltage swing while consuming less than 300mW per channel power. The bandwidth is over 40GHz with excellent phase flatness and channel isolation. Comcast NBCUniversal prevailed over 21st Century Fox and Walt Disney in an auction to acquire Sky, the leading entertainment and communications company in Europe. The offer of £17.28 per Sky shareimplies a value of $40.0 billion (£30.6 billion) for the fully diluted share capital of Sky. Sky serves 23 million customers in seven countries – U.K., Ireland, Germany, Austria, Italy, Spain, and Switzerland. Sky has TV ownership rights to English Premier League football for three years starting in 2019. It also holds exclusive partnerships with HBO and Showtime. Sky News is a top European cable news network, and there are additional Sky channels for sports, entertainment, and the arts. In addition, Sky Broadband is a leading (#2) residential broadband provider in the U.K./Ireland, and a new Sky Mobile MVNO was recently launched in Europe. Sky's 2017 revenue was $18.5 billion.